Two U.S. bombers flew over the South China Sea on Thursday, challenging China's claims to the waterway and "asserting the right to treat the region as international territory," Per Reuters. The context: China has three military bases in the South China Sea that the U.S. says are intended to "extend its strategic reach." President Trump has had an up-and-down relationship with Chinese President Xi Jinping so far, and this reflects his new, more aggressive approach. 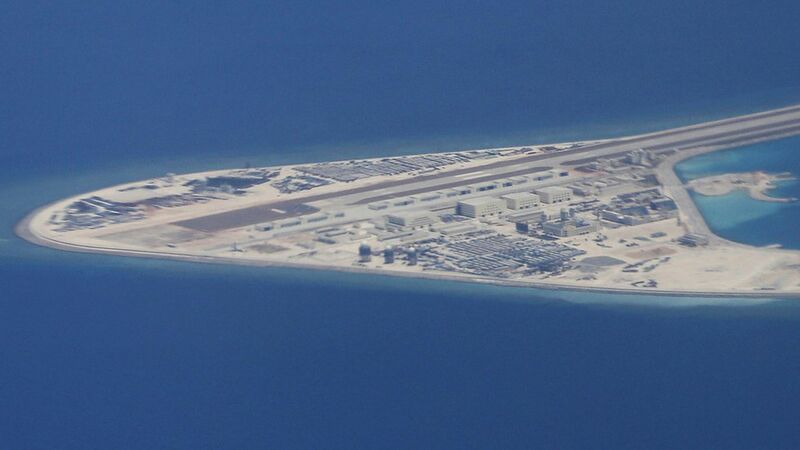 Geng Shuang, Chinese Foreign Ministry spokesman, said there was "no problem" with overflight, but that "China resolutely opposes individual countries using the banner of freedom of navigation and overflight to flaunt military force and harm China's sovereignty and security."